Digital Rights Management (DRM) technologies attempt to control what you can and can't do with the media and hardware you've purchased. Bought an ebook from Amazon but can't read it on your ebook reader of choice? That's DRM. Bought a video game but can't play it today because the manufacturer's "authentication servers" are offline? That's DRM. Bought a smartphone but can't use the applications or the service provider you want on it? That's DRM. Bought a DVD or Blu-Ray but can't copy the video onto your portable media player? That's DRM. 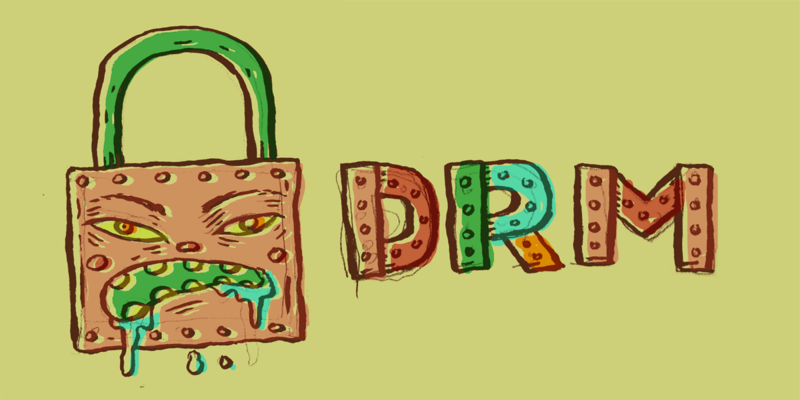 Corporations claim that DRM is necessary to fight copyright infringement online and keep consumers safe from viruses. But there's no evidence that DRM helps fight either of those. Instead DRM helps big business stifle innovation and competition by making it easy to quash "unauthorized" uses of media and technology. DRM has proliferated thanks to the Digital Millennium Copyright Act of 1998 (DMCA), which sought to outlaw any attempt to bypass DRM. Fans shouldn't be treated like criminals, and companies shouldn't get an automatic veto over user choice and innovation. EFF has led the effort to free the iPhone and other smartphones, is working to uncover and explain the restrictions around new hardware and software, has fought for the right to make copies of DVDs, and sued Sony-BMG for their "rootkit" CD copy-protection scheme. Learn more about our efforts through the links below.